As I look at it there in the bowl, I find myself thinking for the first time that lettuce is kind of amazing. First, it’s actually pretty cool looking. At the edges, it resembles the ruffled skin of some old elephant or the feathers of a very young bird. Near its heart, it resembles a frilly green razor. Second, this substance, which is more than 95% water and has almost no calories, is, somehow, DELICIOUS. It doesn’t taste like much in and of itself, but the experience of eating it allows you to ingest something unique, something that I won’t again for a good long while: crisp greenness, a sort of mellow sweet juiciness. Even crappy lettuce in almost-expired store bought salads can have that crunchy, off-white flavor, but nothing except lettuce, and other fresh vegetables, ever can. I wouldn’t have said any of this a month ago. I probably would have said, “Yeah, sure. Lettuce is…fine. With other stuff.” Right now, I don’t want to let anything else NEAR it. It’s too amazing as it is. After a few bites, something seemed off. It wasn’t the lettuce – which, outrageously and inexplicably, continued to blow my mind. Rather, it was the solitude of the poor little plant. After all, sMars aside, how often do you find yourself just munching down on the lettuce? Not often enough, to be sure, but lettuce also serves a greater purpose. I decided that the more fitting tribute was to put the last few pieces on our space food, so that we can remember the peerless contribution that fresh green veggies make to our lives. So I give you the vehicle for the last of the lettuce: sMars tacos, with homemade cheese (2 kinds) and tons of seasoning. Looks good, right? If it weren’t for the fresh lettuce, according to the other Martians, it would have tasted JUST like Taco Bell. I don’t know anything about that, of course. Southern Californians DO NOT GO to Taco Bell. *looking around* AHEM. No, we don’t. That was a fantastic blog! 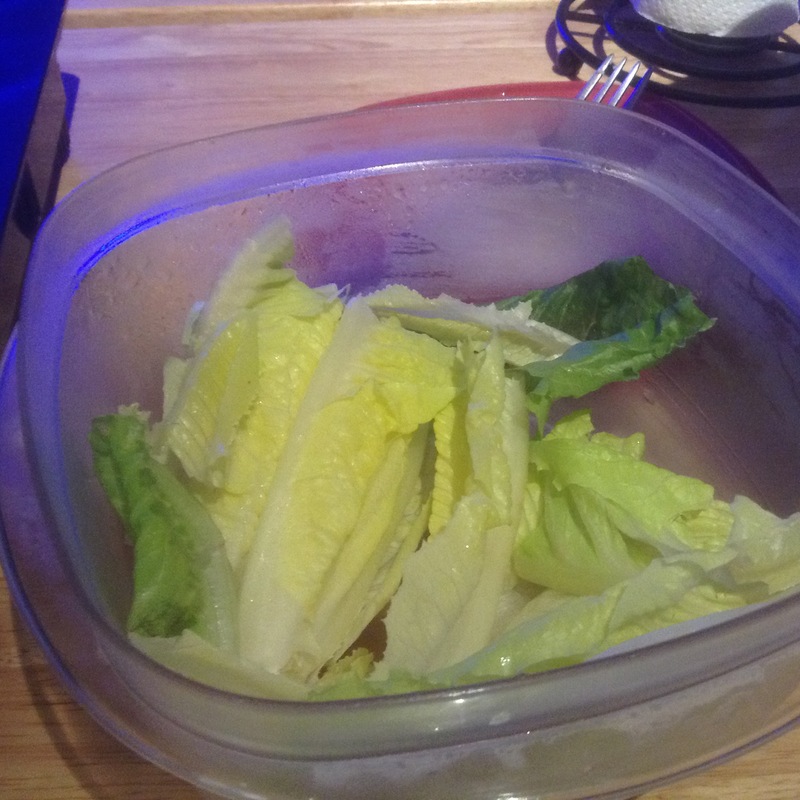 One woman’s life on SMARS and the joy of the last lettuce! I see you are beginning growing Kale. Will vegetables be the only thing you will be able to eat for the rest of the trip? What about meats or dairy? We have a variety of shelf-stable foods, including reconstitutable meats and dairy products. Wish I had read this before dinner. I fixed Italian stuffed shells and a huge salad with lots of veggies, salami, cheese, olives, and fresh made croutons. the ‘grands’ picked out a few pieces here and there but did not touch the lettuce. 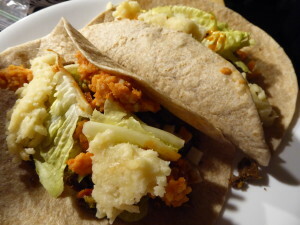 your post gave me lots to think about and an appreciation for fresh foods and easy availability. That sounds GREAT, Candace. What’s your crouton recipe? Great read, wondering how you are simulating mars with growing produce? Is that part of this experiment, seeing if things could grow in Martian conditions, or is it just furthering hydroponic growth? We have both, Chris: a Martian soil analog and hydroponics. 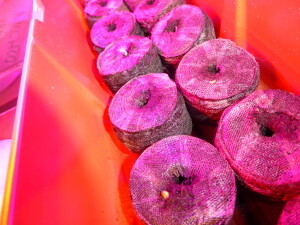 We’ll be getting aquaponics started in a few months as well.